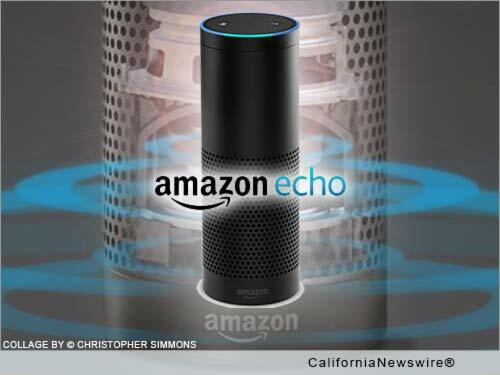 SAN FRANCISCO, Calif. /California Newswire/ — The founders of web-startup Echo Site (theechosite.com) are big believers in the potential for Amazon's Artificial Intelligence device, the Echo™. "We think Amazon and third party developers have only scratched the surface in terms of what's possible for this technology," says Wolfram Ruisdael, one of the venture's directors. "Because the Echo sits permanently in a home, classroom, or office, it invites applications which utilize more time and deeper thought than Smart phone, tablet, or watch apps that emphasize convenience and speed. Because it can be heard over a wide area, it is useful in a group, lab, or boardroom setting in ways that phones and laptops can't match," says Ruisdael. The group is not affiliated with Amazon, but supports development of third-party apps. They believe that Alexa, the artificially intelligent "brain" behind the Echo, is greatly improved since launch in November of 2014. In April, the Echo Site will produce a live monthly webcast about the device called "The Echo Location." In May, they will preview via broadcast a series of high school classrooms using Echo for a variety of subjects. In June they will announce the winners of four prizes: one for the best app created by third-party developers, called the Kaja Award (Estonian for "echo"), one for ideas for programs submitted by members of their email list called the Huisheng Award (Chinese for "echo"), one for the best Humanitarian or Sustainability-oriented program called the Ulyaw Award (Tagalog), and one for the best app created by Amazon itself, the Iwoyi Award (Yoruba). Amazon, Echo, Alexa and all related logos are trademarks of Amazon.com, Inc. or its affiliates. Collage image credit: by and Copr. (c) Christopher Simmons @neotrope.